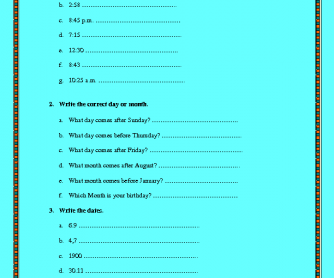 This worksheet is appropriate for practicing and teaching times and dates. 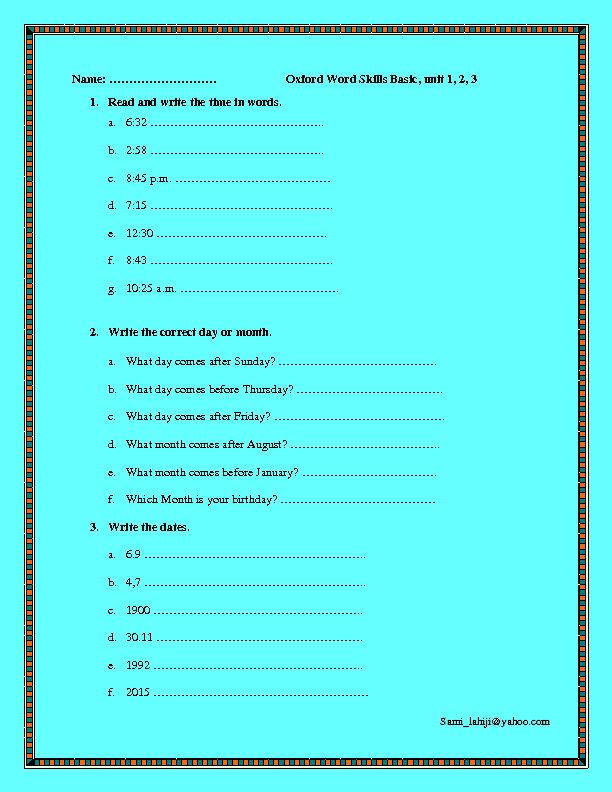 It's suitable for elementary students. Hope you find it useful in your classes.